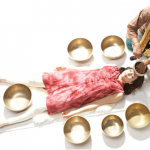 Over the last few years Westerners have become more open to alternative methods of healing, and the use of Tibetan singing bowls to address a variety of ailments has drawn considerable interest. Suren Shrestha is a master of these ancient techniques. His book includes detailed, step-by-step instructions and photographs showing how to place and strike the bowls, along with a CD that includes some of the healing therapies. Some of these methods have been taught to only a few Eastern practitioners, and Shrestha is committed to spreading them in the West to all who want to learn. 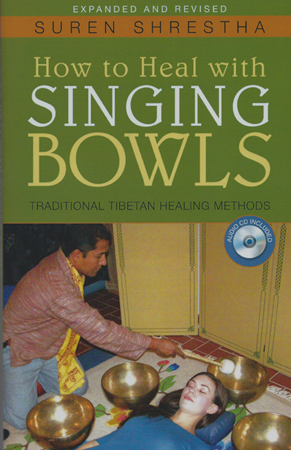 The newly revised and expanded edition of this popular book includes more than 15 new techniques for using singing bowls, covering the use of one or two bowls for treating conditions such as insomnia, neck and shoulder tension, and muscle cramps throughout the body; and using the bowls with yoga postures and heated herbal therapy packs. Much of the new information in this edition was requested by readers of the first edition and students in the author’s many classes. 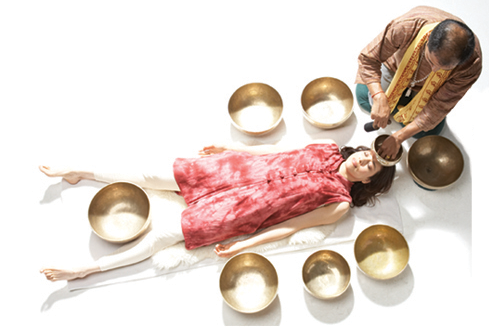 Benefits from singing bowl therapy include relief from pain and stress-related conditions. It can be used in healing the effects of chemotherapy, and reducing pain and discomfort from fibromyalgia, chronic fatigue syndrome, and depression. Clients experience improved memory, clarity, vitality, and better sleep, and often experience the effects for several days. This remains the only book on the market with step-by-step instructions for the therapeutic use of these bowls. "I use the Tibetan singing bowls in my practice and have found them to have profound effects on my patients. The bowls have an amazing ability to counteract and dissolve the harmful effects stress has on the body, almost instantaneously. The bowls also help individuals connect to their higher awareness and facilitate healing at a very deep level. I applaud Mr. Shrestha for bringing forth and sharing such valuable information with the public, especially in this how-to format that is rarely seen in books of this nature."